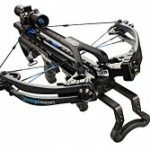 What is the definition of “the best budget recurve bow”? 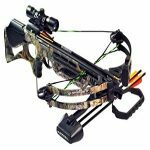 It means it’s great for beginners because of its smooth and clean release, it’s perfect for bowfishing and hunting small game, it’s durable because of the materials used, it’s easy to assemble and string, and it’s flexible. 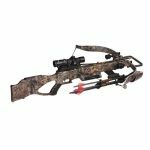 In short, SAS Spirit 62” Take Down Recurve bow is the definition of the best budget recurve bow. 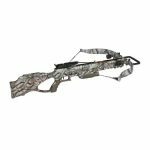 Offered with four draw weights: 26, 30, 32, and 36 lbs., this bow is ideal for recreational shooting and hunting small game. The package that will be delivered by Southland includes the Spirit bow, 14-strand string, warranty card, and an owner’s manual. Assembling this is hassle-free as well. However, you have to be careful in tightening the screws because they can easily break up. So be as gentle as a lamb! The package doesn’t include a bowstringer so you need to buy one separately since stringing a bow without it will void your warranty. Plus, it’s dangerous and you might hurt yourself. This bow shoots smooth and you’ll feel little hand shock, too. What’s more, it shoots straight and accurately. With its sturdy construction, it’s the perfect bow for a beginner. It’s great because it’s forgiving if you have a poor stance. Also with its inexpensive price, it’s the ideal practice partner as you perfect your archery form. However, since you’re a beginner, it’s better to use an armguard with this one. It’s also recommended for shooters whose heights are 5’7” and up but you can still use it if you’re shorter, you’ll just have a harder time than those who are taller. If you don’t want to risk because you know you’re petite, then perhaps you should consider the SAS Spirit Jr. Installing the sight is time-consuming on this one, though. You have to drill pilot holes and use screws to hold it down. Another negative feedback was regarding the riser and the limbs. Both come unfinished from the factory. When it comes to the strings, some customers reported the strings being too long and others reported them to be too short. So the length of the strings isn’t consistent at all. The bow is also available in right-hand model only, so that’s a disappointment for left-handed shooters. And even though this was advertised to be perfect for bowhunting, its draw weight doesn’t reach the minimum draw weight required by many states which is 40 lbs. The highest draw weight is 36 lbs. which is below minimum. It can still hunt squirrels and rabbits, though, because it’s precise and as quiet as a church mouse. Looking at the bright side, at least this recurve bow allows you to install accessories because it’s predrilled and has bushings. You can add a stabilizer, a sight, and a plunger whenever you deem it necessary. You can also add the latest technology on this one with the help of a bow technician. Though the limbs and the riser have no finish coat, they still contribute to the greatness of this bow. With the riser made up of laminations of chuglam, gmelina, arborea, and beech, this recurve bow is unquestionably durable. The limbs are also laminated fiberglass with maple for a gorgeous look. To avoid being upset about the lack of finish, try not to use the bow during rainy season. But remember, you can always eliminate your worries about the weather by applying a weather-resistant coat on it. The Spirit is resistant to limb twist and can withstand several range shooting so let’s focus on those pros. This recurve bow is actually a larger version of the SAS Spirit Jr. If you’re having a hard time following the instructions for this, you should ask for an expert’s help to avoid misusing it and leading it to its early death. This may not be as fancy as you expect, but for a beginner this is more than enough. At 25 yards, the bow can shoot with ¾” groupings, so it’s pretty accurate at a good distance. Now let’s talk about the string. This bow accepts a 58” string. But I recommend upgrading to a 16-strand string from the included 14-strand Dacron string. But keep in mind that the limb tips are not reinforced, meaning you can’t use FastFlight or Flemish strings on the Spirit. I say this is the best beginner recurve bow because though it’s not the lightest, it’s still light for weighing only 3 lbs. A beginner won’t experience hand fatigue even after hours of practicing and shooting, making it bearable to use for those who are so excited to be in the field of archery that all they do is practice. It’s also fun to shoot thanks to its quietness. It has very little vibration and is actually almost silent when shot. You can make it even quieter with silencers but that won’t be necessary unless you’re going to use it for hunting. 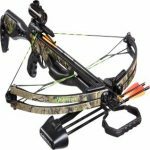 With its beautiful appearance, you may even go shooting with your friends who have more expensive bows and people will hardly notice the difference. 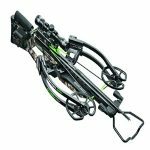 The performance of this bow is impressive especially because it comes at a great price. If you’re so serious about hunting, though, I don’t recommend this bow. This is perfect for target shooting and hunting small game only. 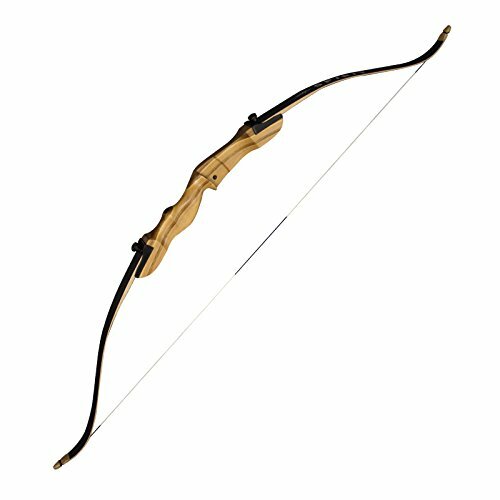 Whether you’re a beginner, a teenager, an adult, or an experienced archer, you’ll definitely enjoy shooting this durable, quiet, and reasonably-priced recurve bow. Not sure what recurve bow to go with yet? We bet you’ll get a better overview with our comprehensive recurve bow buyers guide.